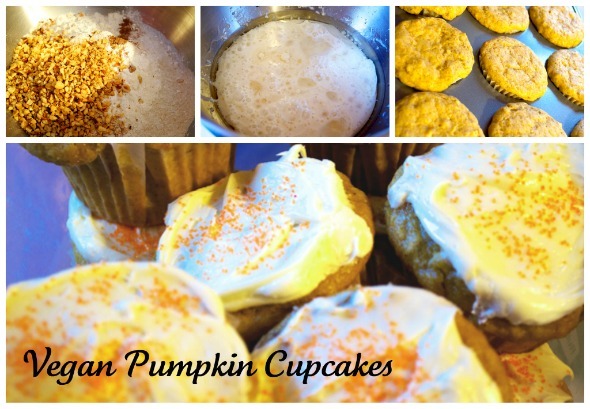 Yes, I love “pumpkin” everything!! Especially at this time of year. 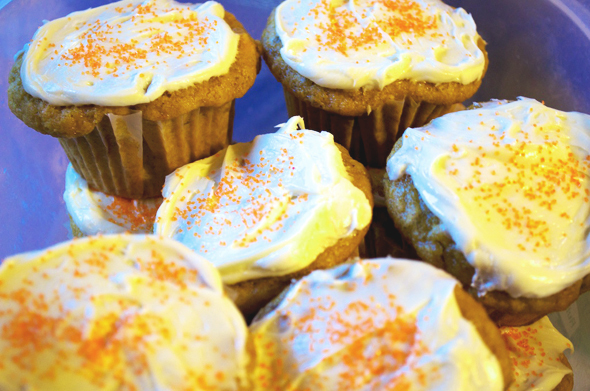 So, of course, I made a vegan pumpkin treat – CUPCAKES! Because, who doesn’t love cupcakes?? (If you don’t, then let us prepare in intervention). This recipe makes 12 delicious fluffy cupcakes. 1. Preheat the oven to 350 degrees F and line a 12-cup muffin tin with paper liners. 2. Mix these wet ingredients in a small bowl first and set aside. 3. Mix these wet ingredients together in a medium bowl and set aside. 4. 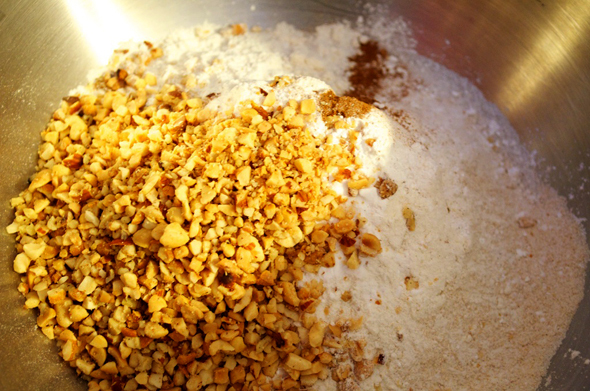 Put the wet ingredients together and add to the dry, mixing until just combined. 5. Divide the batter into the cups, filling each liner about ¾ full. 6. Bake for 16 to 20 minutes, or until a toothpick inserted in the center of a cupcake comes out clean. 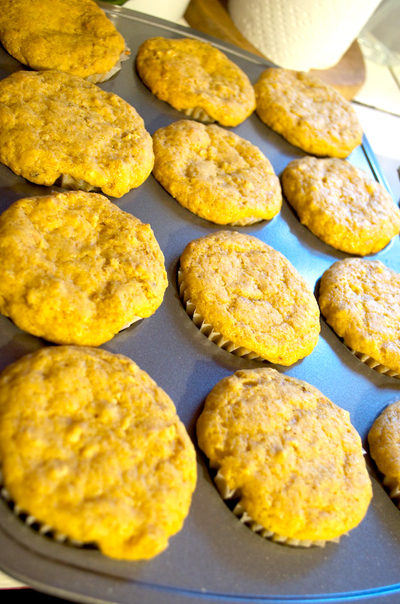 Allow cupcakes to cool completely before frosting – I’ve included a recipe below. 1. 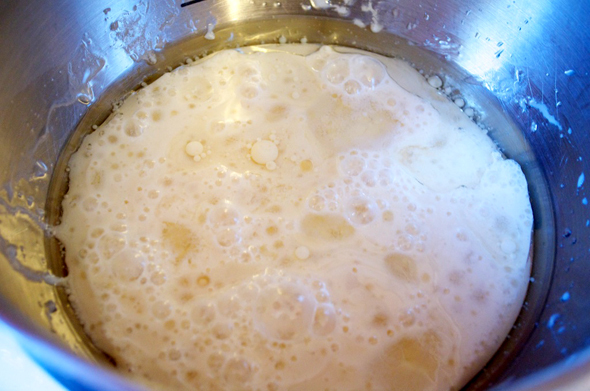 In a large mixing bowl using an electric mixer, blend all of the ingredients until creamy and fluffy, about 5 minutes. After frosting the cupcakes, decorate them with your favorite candies or sprinkles! FYI the frosting will store up to 1 day in an airtight container in the refrigerator. P.S. My friend Jeanette thought I poured in too many nuts – probably because I didn’t exactly measure them. She also thought the cupcakes would be yummy with little bits of apple baked inside. Sounds good so next time for sure! 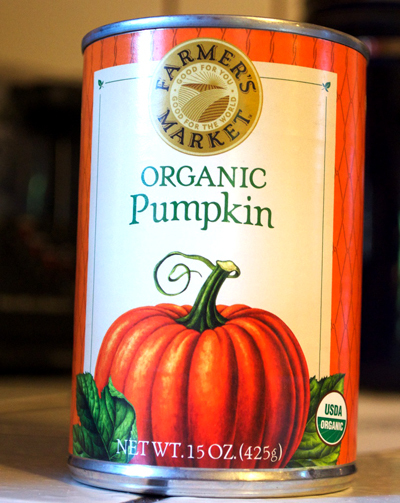 I also love all things Pumpkin! might try this recipe out this weekend. Nice photos with your instructions, and who doesn’t love cupcakes?! !